Here’s a complete guide to apply for tax refund in Europe. Getting your VAT back is easier than you think and it’s so rewarding because it’s usually less expensive to shop for high fashion in Europe than in other countries. VAT means Value Added Tax. This tax is imposed on the top of the product prices. The retail prices in Europe are already included with VAT. Who are eligible to apply for tax-refund (refund on VAT)? Visitors to EU countries and tourist. Anyone who does not live permanently in the EU can apply for tax-refund. There are exceptions in some countries for those who live in the EU, but have a permanent home outside the EU. You are also qualified as a visitor if you’re in the EU for a certain time with a specific purpose. And you’re not going to return to the EU for a long period of time. Example is exchange students. Foreign students are allowed to get VAT back within the last month of their studies. The time frame depends on the rules of the country. There is a minimum purchase of €175 euro in total value in order to apply for tax-refund. This depends on the EU country as some might have lower thresholds. But the minimum purchase has been put in place to make sure it’s worth your time to apply for tax-refund as there are administration fees involved. From the moment when the purchase has been made, the goods need to leave the EU by the end of the third month in order to be eligible for tax-refund. Within the three months, you are free to travel to other EU countries and purchase more goods. 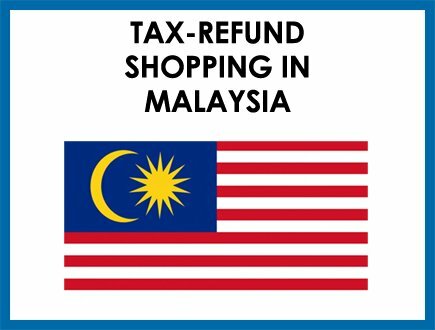 These goods can be applied for tax-refund as well. Ask the SA (shop assistant) whether you can get VAT-refund for the goods you buy. Not all shop participates in the tax-refund program, so it’s always better to ask first. And some companies might have different process in tax-refund. What threshold applies to the purchase to be qualified for tax-refund? Always ask how the tax-refund process goes, because sometimes the store will refund the taxes to you but mostly they use a third party. Ask whether you need to pay administration fee and ask how much the fee is. At the cashier or checkout, the SA will ask you to show your passport or ID. This is a proof that you are visitor or a tourist and live outside the EU. The SA will give you a form; you will need to fill in the required information. After that, she will fill in her part of the form. The SA might also ask you for your passport to show that you’re leaving EU within the time limit (see above ‘time limit’). After you’ve paid, make sure you’ve got the required documents to apply for tax-refund later. The receipt: which proofs where you’ve bought the goods and the purchase price. The tax-free form: the details on this form are necessary for the application. And other necessary documents to the custom officers (the SA will tell you all about this, the above two are the most important). Make sure all the paperwork is done before you leave. You don’t need to apply for tax-refund immediately. Just shop around Europe, go from country to country and enjoy your stay while shop and spree. You can apply for tax-refund at your last EU country, when you’re about the leave the EU. Important Note: If you’ve your purchases inside the checked luggage, don’t check-in first. You might need to show your purchases at the local custom in order to get the stamps. You can find the customs in different locations like at the border crossing or even at train stations. But the most resourceful and popular place is at the airport. Gather your documents and get it stamped at the customs office. You will usually find one at the airport, if you need help, go ask the service desk. Also know that you need to bring your unused goods, because the custom might ask to verify that you’re going to export the purchases. Now your documents are stamped by the customs. Next is to turn them in. Usually the designer companies work together with third parties like Global Blue – they provide refund services and can usually be found inside the airports. Find their office. Show them your stamped documents and they will refund you the VAT. You can choose to get refund in cash, credit card, cheque or even Alipay. But our recommendation is cash because it’s simple, fast and you will not get any issues later if something goes wrong. If you choose credit card, it could take a few months like three or so. The refund will be hand to you in the currency of the country you’re going to leave. If you like to get the cash in your own currency (or other currency), remember that it’s going to be more expensive. Our advice is to exchange the currency in a favorable store; the airport exchange rates are always higher. There are refund services that ask you to mail them the documents. You can mail them from home or before you leave the country via the mailbox after you get the custom stamps. The waiting can take months, but you will either get a check or it will be refunded on your credit card. When you apply for tax-refund, don’t think you can do it in a few minutes and miss the next flight or train. It can take some time. Certain countries are not in the EU, for example Switzerland, Norway and Turkey. When you cross the border, make sure you’ve got your documents stamped. How is your tax-refund calculated? We took France as an example and they have 20% VAT. And let’s say your bag costs €3000 euro. Now let’s calculate how much tax-refund you get. The VAT rate is different in every EU country. The VAT is 19% in Germany, 21% in the Netherlands and 20% in France. But the rate doesn’t determine the amount of VAT you get back. So more VAT doesn’t mean more cash back. It depends on the tax regulation of the country and the fees of the refund service companies. The amount of VAT refund depends on the country you’ve bought the goods. So for example, you’ve bought a Chanel bag in Germany, a Louis Vuitton bag in the Netherlands and a Gucci Bag in Italy. The Chanel bag is subject to Germany’s VAT refund rate, the Louis Vuitton is subject to Netherlands’s VAT refund rate and your Louis Vuitton bag is subject to Italy’s VAT refund rate. This will all be processed by refund service companies. Why do I not get the full tax-refund? In order to get tax-refund, you need to apply via an intermediary company (also known as an affiliate company). This company will help you process the tax-refund form, but they need to charge you administration fee. This fee will be deducted from your tax-refund. The company where you’ve bought the bag might also charge you fee. To understand the amount of the fee, you can ask the Sales Assistant when you purchase the goods. What if you haven’t received the tax-refund? 1). Contact the intermediary company (affiliate company). Get the information whether your form has already been processed. 2). Contact the company where you’ve bought the goods, because they’re responsible to give you the refund. If that doesn’t help, then file an official complain via their website. To get tax-refund, you usually can choose between cash or transfer via credit card. If you choose cash, you will get less tax-refund, but there is certainty. If you choose transfer via credit card, you need to wait longer and if the tax-refund doesn’t arrive, you need to contact the companies from your home country. This can be annoying. So if you can, take cash to avoid potential future issues. What are my options for VAT refund besides cash? Cash is one option, but you can also choose Credit Card, Cheque or even Alipay. The option differs from company to company. I will be traveling to London first, then flying from Athens back to USA in May. Planning to buy the Chanel Flap bag in London. 1) I am not sure if UK still part of EU, if so, I assume I could do my tax return in Greece? 2) Or it will be safe if I should claim the tax refund in London instead? Hi Polly, UK is still part of the European Union. 1. Yes, you can do tax refund in Greece, which is your last stop. 2. You can claim in London too of course. 3. With Chanel Bags, especially the Classic Flap Bag, don’t wait when you spot your favorite style. Because the price difference is not that huge and you have a chance you will find the bag in Athens. There are more boutiques in London thus more stock. Hi! I have been following your site and it’s awesome! I’m going to Madrid from the US and leaving from Lisbon. I want to buy the classic flap ml caviar bag. 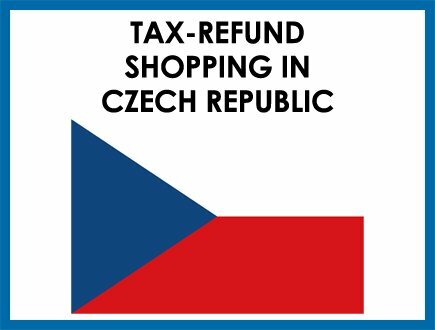 Q1, the bag is around 4800, if I buy another item at another store that is more than 200 euros will that increase the percentage of my Vat return? I’m assuming over 5k will put me in a different bracket, right? Q2, Do you recommend doing the refund with GlobalBlue? Again, thank you for sharing all your insightful knowledge! In Spain, you will get more tax-refund above 5000 euro purchase. As for Portugal, with 4800 euro purchase, you get 14% tax-refund. For 5000 euro purchase, you get around 14.5 tax-refund. Global Blue company is quite well-known, so it’s recommended. I am going to Paris and a few other countries this summer from US. However, I am only permanent resident here (with green card). I will be using my Sweden passport for the trip. Will I able to get VAT tax refund? And if I combine all the reciepts, I just need to pay administration fee once? Thank you so much! 1. I will be using my Sweden passport for the trip. Will I able to get VAT tax refund? Sweden is part of the European Union, therefore, you cannot apply for tax-refund. However, if you are no longer registered in Sweden, because you are now living in US, you can apply for tax-refund. 2. The admin fee is a small amount and the fee depends on the company. But I think it’s calculated in %. ii) Do I need to wait till I get to Bulgaria and get the custom stamp on my my refund form at the Bulgaria – Turkish border since Bulgaria is the last EU country I’m departing from before entering Turkey? Mind you that we will be traveling by bus throughout this trip before flying back to Kuala Lumpur from Turkey. Hi Dal, I think the most convenient is to fix everything in Italy before leaving, don’t you think. Because not many people leave from Bulgaria (last eu stop), so we do not know how convenient their service is there in terms of tax-refund. Are the admin fees for VAT refunds lower at the airport or at places in city center? I will be going from London>Brussels>Amsterdam>Paris then back home to NY. For example, if I can get all my refunds (in cash) done at the Global Blue or Premier Tax Refund places in city center Paris as opposed to CDG airport. The admin fees depend. If you need to apply tax-refund, there is a admin fee, for example buying at the city. There is also admin fees involved if you buy at the airports, unless its in tax-free area. The best location to buy is Heathrow airport? Why? 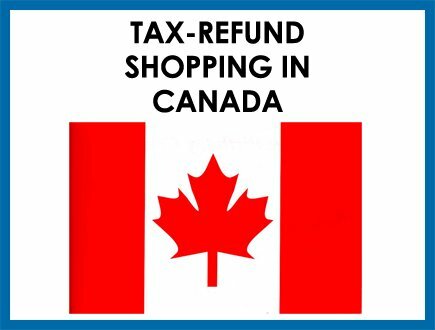 it’s in the tax-free area, if you leave the country from there, the store won’t charge you taxes, thus you save a lot of cash. Also the SA can also do the tax-refund immediately for you there, thus again save you money. London and paris are packed with boutiques, but for a reason, there are a lot of tourists snapping all the bags and earrings. So it’s a bit of a hunt everywhere to get the item you want. Amsterdam has just one store, but less people in general (it’s quite busier nowadays). Brussel? I would see that as an alternative strategy. The most important is that YOU KNOW WHAT YOU’RE LOOKING FOR and then buy when you see it. Imagine you finding your favorite bag in London and you skip it because you want higher tax-refund in Paris, and then found out that the bag is not available there in your style. Hi, I will be travelling from London – Paris – Switzerland – Italy, by train. Thereafter, leaving for Malaysia from Rome Airport. If I buy a bag in Paris, when should I go to Custom for VAT refund? a) at the point I leave Paris for Switzerland? Any custom at the train station? b) at Rome Airport when I leave EU? a). the last stop of your destination in EU. Everything you buy in London and Paris, you do tax-refund in Rome Airport. Do know that Switzerland is not part of the EU, so all the goods bought there should be tax-refund in Switzerland before you go from there (Switzerland to Italy. b). 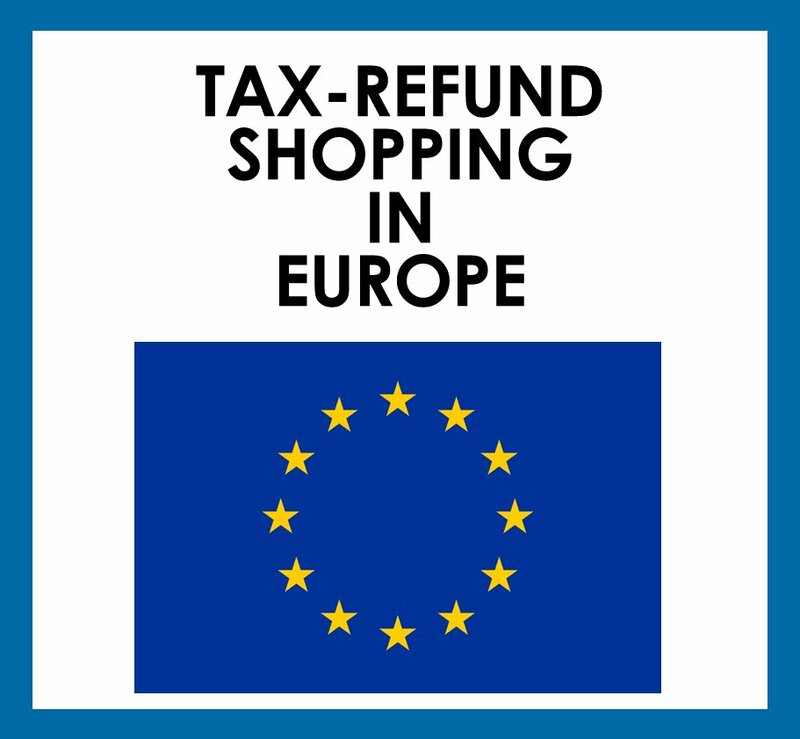 Yes, all goods bought in euro countries, do tax-refund in Rome Airport. All goods bought in Switzerland, do tax-refund in Switzerland. Hi Kay, this is quite an unique question, but I think you need the box to get a refund. It’s the whole package. Please ask the SA when buying, to be certain! Hi Alex. I didn’t get a box for my Gucci purchase. So I made a lot of purchase. All of them are global blue and one is premier tax. I am leaving from terminal 1. Do you know if there is a premier tax mailbox is terminal 1? The sales associate told us onl in terminal 3. Which I don’t have time to go there. I will be traveling to Paris and Rome in February. I’m looking to buy another Chanel bag. Are there any limits on how many I purchase? I also want a Louis Vuitton bag and wallet. Curious to know if there are limits to the number of items I buy. Thanks! For Louis Vuitton 5 items in 6 months per passport. 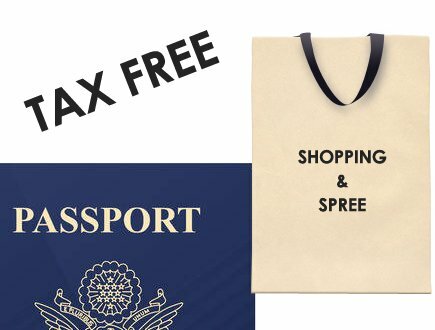 Hi, if I buy a bag at Paris and going to Amsterdam, and I am leaving from London, do I need to proceed my tax refund at Schipol Airport or Heathrow London?